The influx of tablets in the market this year provides consumers with an unprecedented wide selection to choose from. I have attempted to review some of them, but there just too many to cover in a monthly blog post. 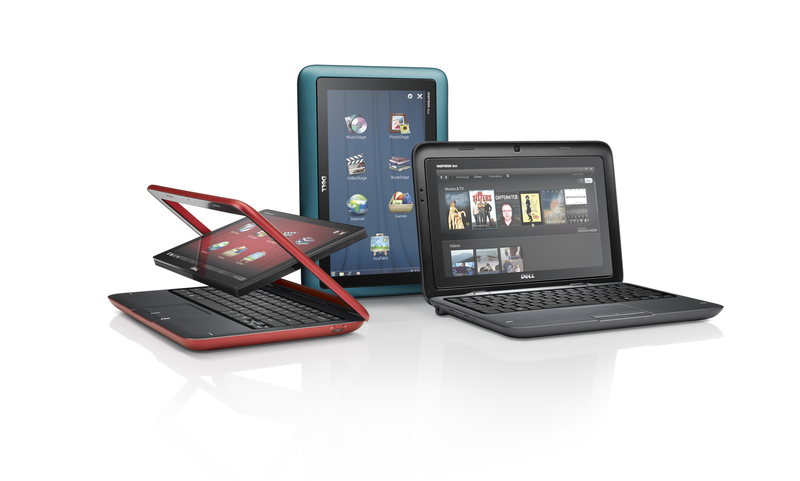 Tablets launched this year include the Motorola Xoom, Samsung Galaxy Tab, Blackberry’s Playbook and Acer’s Iconia. Dell has a laptop/tablet hybrid that offers a screen that flips. The latest entries this fall are Sony, Toshiba and Lenovo. All the major hardware manufactures have joined the game this year. 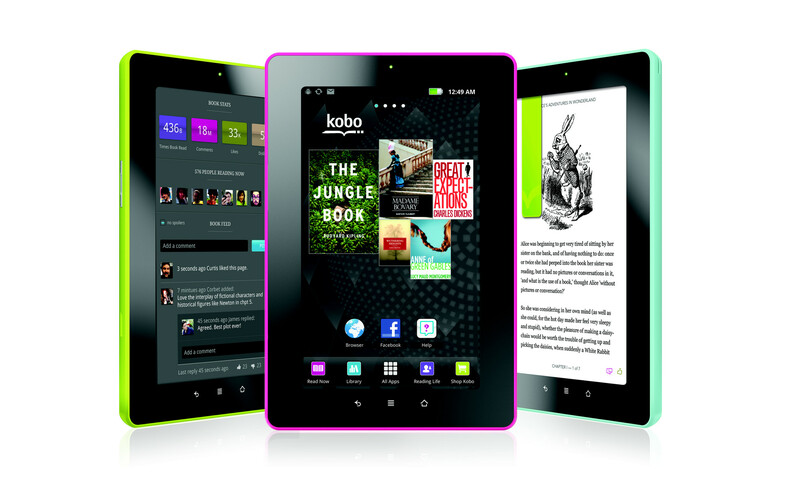 The biggest noise right now is Amazon’s Fire and Kobo’s Vox 7” Android tablets for $199 for Christmas this season. Blackberry’s Playbook is now being offered at $199 and people are buying them at this price point. Since this is a Christmas wish list blog, let’s see what Kids 13+ in the USA want for Christmas this year according to a Neilson report this October. The number one thing they want is an Apple iPad at 24%, second was a computer at 18%, third was an eReader at 18%. Non iPad tablets were 17%. The rule of thumb for mass market adoption is 30%; well it looks like mass adoption is coming sooner than we think as iPads and non-iPads came in at 42% combined. After reviewing or looking at all the tablets in the marketplace launched in the last 18 months, I decided none them fit my needs, so I decided to create my own killer tablet based on what I want not what some engineer stuck in a lab thinks I want. As a magazine publisher I want a tablet with an 8 ½” x 11” screen so I can easily read my magazine, PDFs and books without straining my eyes or having to pinch to enlarge the type. The world’s reading material is based on this size, you'd think these manufacturers would recognize this and create one that makes it easier to read and consume knowledge. I asked Lenovo this question and they said that the glass manufacturers have standard sizes for the glass based on their production methods. Here are some other features I would like to add to or eliminate from my dream tablet. 1. I don’t need another camera, I already have three, but a single lens for a Skype video call is OK. So take out one camera lens to cut down on the cost. 2. I want to be able to port my documents to my tablet so I can work on them, so I need I need a file management system. The tablets today do not have this feature except for Toshiba’s Thrive. 3. I want the freedom to use the tablet as I wish; I do not want some vendor lock-in strategy. I want the ability to transfer my DVD collection to my tablet for viewing, I do not want to go to some vendors store to buy a video I already own. 4. A USB port is a very important feature this will ensure that I can transfer documents, picture, music and DVDs between devices, but it better have a file management system so it can work smoothly. 5. The tablet must also work in any lighting conditions, including the dock at the cottage. E ink technology does this best, tablets don’t do it yet. 6. The touch keyboard should be the same as the normal keyboard on my computer. After playing with the Dell Inspiron Duo hybrid that uses a traditional keyboard design, I realized how much I missed it in all the tablets I have looked at. 7. All tablets should have cross-platform support, support all the major technologies, and not involve the consumer in their petty turf wars i.e. Apple vs. Adobe in the Flash war that is going on right now. I want my tablet to work with iTunes for my music collection. So if I buy an Android tablet it will work. 8. The last thing I want is a great price and $199 is a good number. This makes the purchase a no-brainer and be very affordable to the masses. If you get all these features in the tablet it will achieve a rating of 5, but we are not there yet. Here is a look at some other devices to choose from that have not been reviewed yet in this blog. You will notice that they are starting to look all the same, so branding will become more important as tablets are fast becoming a commodity. The Acer Iconia is an Android tablet that retails for $599 and it has a 10.1 inch screen. It has front and rear cameras and a dual core 1 GHz processor. Its dimensions are 260 x 177 x 13 mm and weighs 765 grams. The battery has a rating of 8 hours. I found the device a little slow and the touch screen not as responsive as other devices. If you are looking for a Windows tablet this Xmas, Acer has a Windows based tablet in addition to the Android one. Lenovo’s Ideapad Android tablet comes with a 10.1 inch screen, dual core processor and rear/front cameras. Lenovo has introduced their own app store in addition to the Android market. Its dimensions are 264 x 13.3 x 189 mm and weighs 750 grams (1.65lbs). It retails for $349 on their website for the 16 GB model. The battery has a rating of 8 hours. Lenovo has a consumer and business version of their tablet with “Docs to GO” on their business version which enables you to view and edit Word, Excel and PPT files. The tablet also comes with a stylus to help you avoid the big finger syndrome. 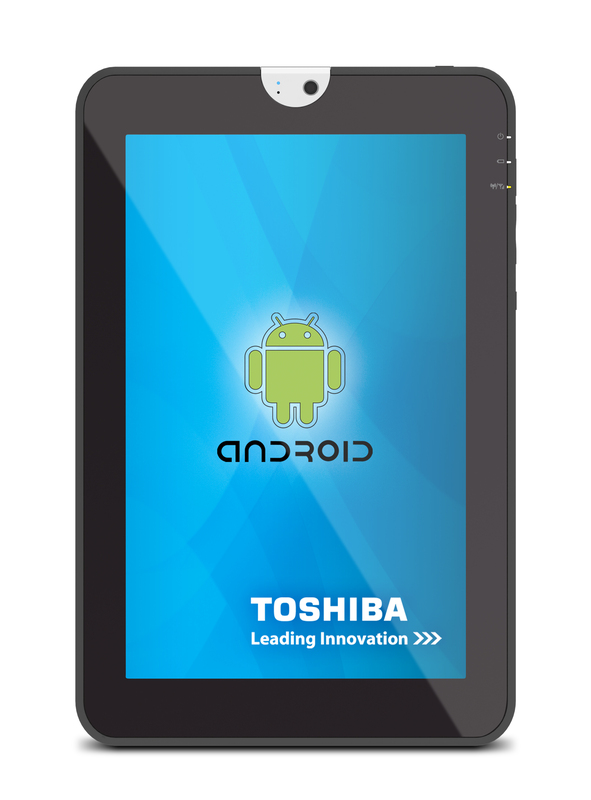 The Toshiba Thrive tablet feels more computer-like than other tablet as it has a file management system as part of the package. Like all other tablets in the market it has a 10.1 inch screen, uses Android as the OS, dual core processors and rear/front cameras. However the design is a little thicker than other tablets as it dimensions are 273 x 177 x 15.8 mm and weighs 750 g. It is available for $399. Of all these tablets mentioned here, I like this one the best, even though it was a little thicker than the rest. The Toshiba team has made some great design features that include a spare battery that you can swap. I look foward to what they have coming to market for 2012. Kobo has launched a 7 inch Android tablet priced at $199 (8 GB model). Kobo is a Canadian company that is a major player in the eBook market through a partnership with Chapters/ Indigo. The device’s dimensions are 192.4 x 128.4 x 13.3 mm weighing 402.6 grams. It has an 800 MHz processor and the battery life is rated at 7 hours. Through the Kobo book store you have access to 2.2 million titles with 1 million available for free. If you are looking for an affordable tablet you should take a close look at this one. (Note: I have not had a chance to play with this one yet, the other tablets I have played with).